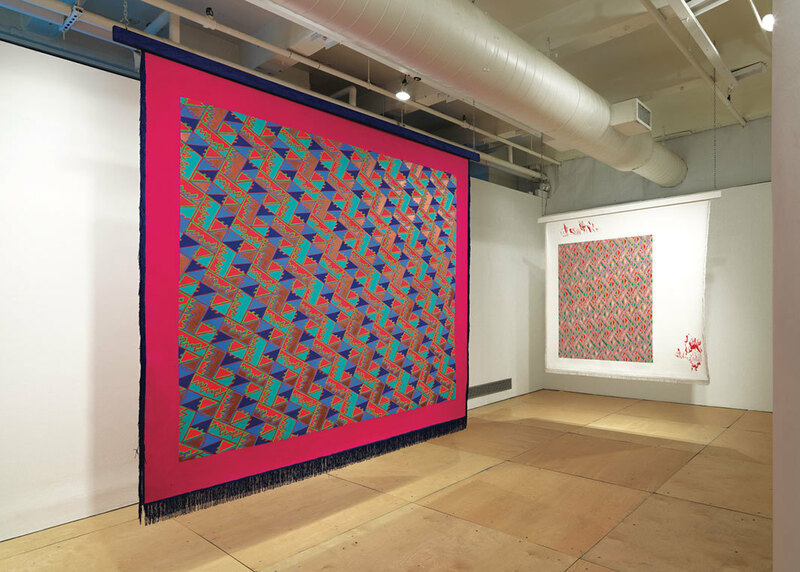 For the ambitious exhibition “Out of Easy Reach,” Allison Glenn curated works by twenty-four artists at Chicago’s DePaul Art Museum, Gallery 400, and the Stony Island Arts Bank. The focus was on uses of abstraction since 1980 by black and Latinx artists from across the spectrum of “women.” Plotting a dynamic range of styles, techniques, and historical affiliations, the show was organized around intertwined conceptual frameworks, including mapping, migration, archives, vernacular culture, and the body. Featured artists included Lisa Alvarado, Candida Alvarez, Barbara Chase-Riboud, Maren Hassinger, Juliana Huxtable, Ayanah Moor, and Howardena Pindell.